The arcade will reopen nearby in a few weeks, but right now it's hard to see it empty. Having an arcade at the mall has been great. While primarily catering to redemption and modern games, they still have a great selection that keeps me bouncing between Time Crisis 3, Jurassic Park, Space Invaders Frenzy, and a multicade full of retro titles. I can't resist stoping in when I'm in the area or shopping for something. There's always time for a game or two! They rotate new games into the mix and change up the floor plan often to keep it fresh. It's well run. They partnered with a local restaurant to create an eatery with bowling, laser tag, and the arcade. 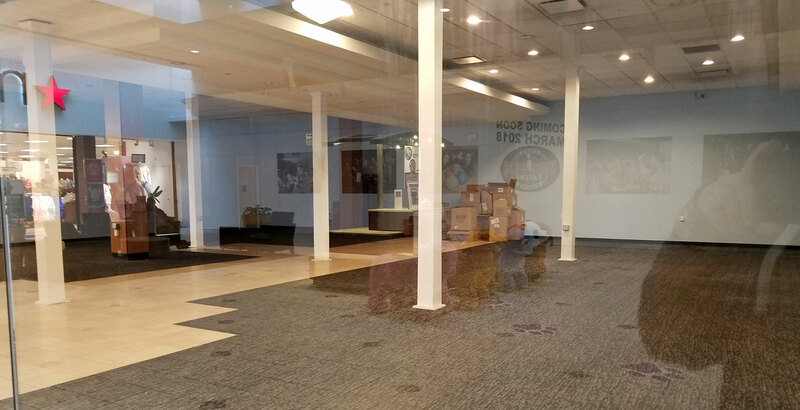 With lavish plans for a true entertainment destination, they had to close down the current space to move the games to their new home... across the hall. 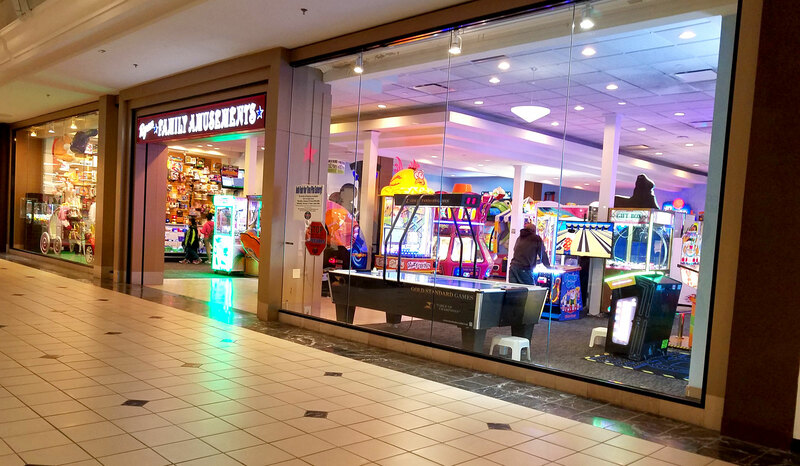 Even as my favorite childhood arcades closed, I never saw the stark difference when the lights and sounds from dozens of attraction modes faded to an empty space. As much as I hate to see this former space looking so bleak, I know it will soon be resurrected in a bigger better format. That's quite a change from when arcades were going out of business on a weekly basis. This is a reminder of times gone by with a much better outcome when the arcade springs to life again in a few weeks. This scene below was very common when my childhood arcades closed down. Finding an arcade today with any sort of retro gaming is rare. I'm lucky to live in an area with a pretty good selection of classic arcade games. I can hardly wait for the new location to open it's doors!